Project Week at Wittenborg’s campus in Vienna is always an awesome affair! 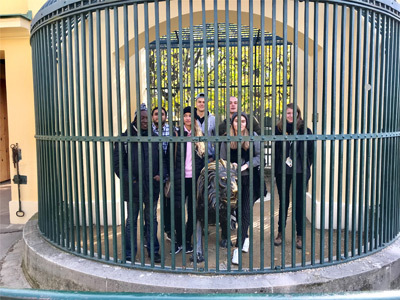 This Project Week, students had an exclusive tour of the Vienna Zoo Schonbrunn - which at 260 years of age is the oldest zoo in the world. And to boot, it is situated in the imperial gardens of the Sconbrunn Palace – surely one of the most beautiful royal buildings in the world, besides being one of the most popular tourist attractions. But it was not all fun and games. 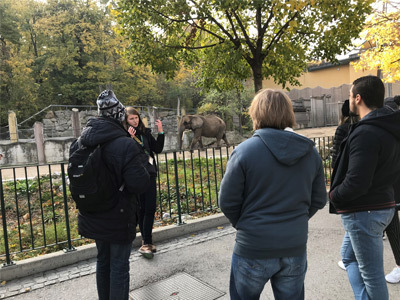 Since it is a Project Week, assignment students will have to file a report on one of two topics: “How to promote animal protection for the Vienna Zoo” or “How to combat low visitor numbers during off-season”. “The Vienna Zoo sees it as their responsibility to create awareness of animal protection among its visitors. Students will address this issue in a report and presentation, and will create a mini-marketing plan of promotional activities for the zoo to use. “The zoo also struggles with seasonality – like so many tourist attractions. Therefore, students will investigate how to tackle this problem and create recommendations for the zoo,” Wagner said.